The book (ISBN 4-381-08858-1 C3053) in Japanese language was published by Star Japan publishers in cooperation with Vector Japan. 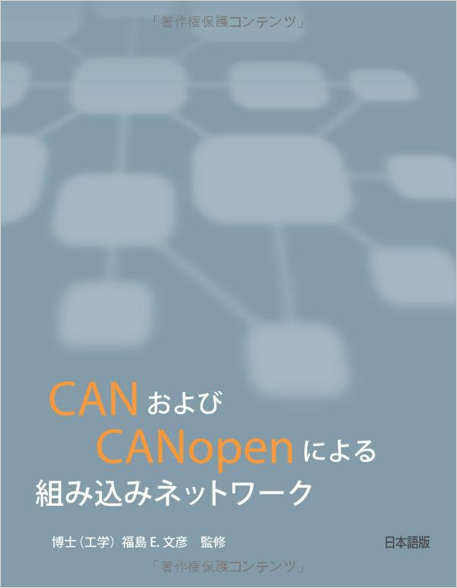 Previously published in English language, the book provides a detailed look at CAN and CANopen technologies in the context of embedded networks. It features an overview of general embedded networking and an introduction to the primary functionality provided by CANopen. Configuration and operation of a CANopen network is described for usage of off-the-shelf components for designers who want to build their own CANopen nodes. A wide variety of CAN and CANopen applications is discussed, and instructions for developing embedded networks based on the protocols are included. References and examples using MicroCANopen software and the PCANopen Magic tool by ESAcademy, and Vector Informatik tools are provided.